♪It’s the most wonderful time of the year♪ (almost!) Buying Christmas gifts can be a tricky business. You want to get them something they love, something they might not have seen before, but most of all it has to be special. I love shopping on Etsy as it’s the home of quirky, unique gifts that you can’t find on the high-street. The bonus of buying through Etsy is that you get to support fellow crafty people and their hand-made businesses! Buying for someone who loves drawing? Give them a new challenge with a Woodblock Printmaking Kit. 2 – Plant Stand Kit by SlinkyHome £30.00 House plants are still in fashion and this copper Plant Stand Kit is bang on trend! 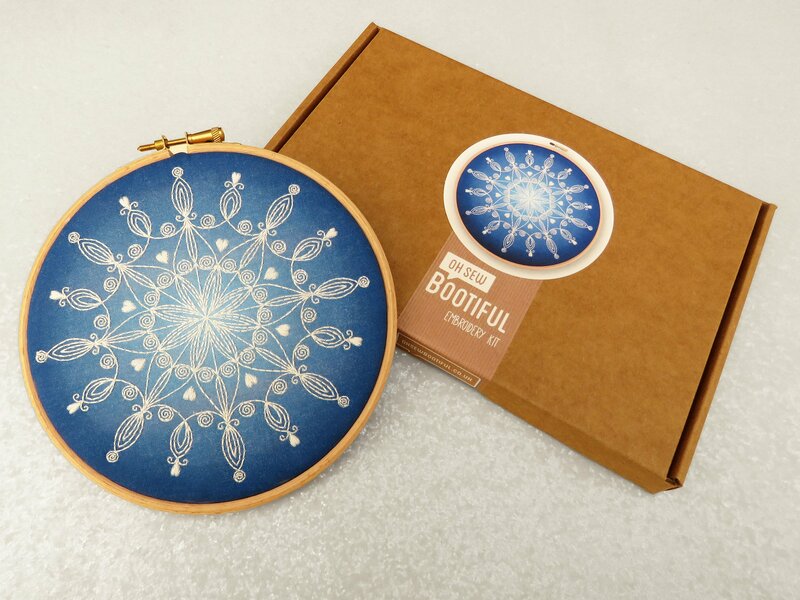 This beautiful Snowflake Mandala Kit is sure to become and heirloom piece, displayed with pride each winter. 4 – Woven Christmas Tree Craft Kit by WoolCoutureCompany £12.99 I thought this was so unusual. It’s also customisable as you can choose from a large range of different coloured merino wools. 5 – Solar Photography Kit by BootoaMoose £24.00 Buying a gift for a photographer? Show them how it started with this kit that lets you make photos using the power of the sun! 6 – Christmas Garland Sewing Kit by FeltTails £20.00 This is just so cute! I’d look forward to hanging it up each year and telling people I made it myself! 7 – Macramé Pot Holder Craft Kit by TodayWeCraft £9.99 Back to plants again, but a Macramé plant pot holder would make such an usual feature in any room. 8 – Rose Bath Bomb Making Kit by FunkySkunkSoapCo £18.00 Who doesn’t love a relaxing bath at this time of year? It’s even better when it’s a home-made bath. 9 – Leather Coin Purse Kit by WilliamsHandmadeGB £48.00 This kit is great value as you get to make three different coloured leather coin purses. Hopefully you’d get one back as a re-gift! 10 – Pet Plant Knitting Kit by mybaboo £7.00 Because everyone needs a little handmade woolly plant friend for their desk. 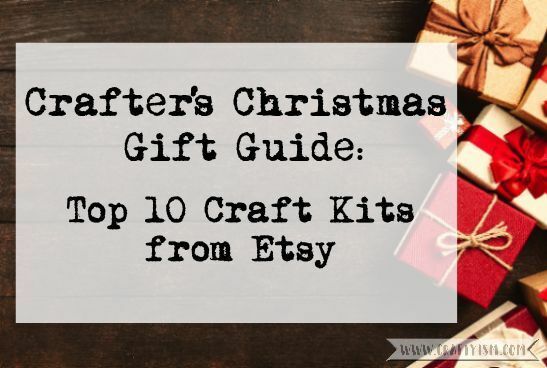 I tried to make sure that there’s a craft kit and price range for everyone on this list. It’s also worth saying that as I’m based in the UK, I’ve focused on UK Etsy sellers, but it’s super easy to search for sellers near you. If you have a crafter to buy for this Christmas, check out Etsy and support small, local businesses! These are lovely ideas, what a great post. That bath bomb looks amazing and the little felt garland is so cute. Love these. Not only have I recently gotten into crafting, so these would work for me, but I know a few crafters who would love stuff like this as well. Yeah that’s what I love about kits. If you’re just starting out with a craft, you don’t have to invest in loads of materials to find out if you like it!